Mayweather says 'never agreed' to fight Japanese kickboxer - SABC News - Breaking news, special reports, world, business, sport coverage of all South African current events. Africa's news leader. Undefeated boxer Floyd Mayweather Jr. of the U.S. poses for a photograph with his opponent Tenshin Nasukawa during a news conference to announce he is joining Japanese Mixed Martial Arts promotional company Rizin Fighting Federation, in Tokyo, Japan November 5, 2018. Floyd Mayweather said on Wednesday he never agreed to come out of retirement to fight a Japanese kickboxer on New Year’s Eve and was blindsided when the event was announced this week at a news conference he attended in Tokyo. Mayweather said on his Instagram account that he only agreed to a three-round exhibition in front of a small group of wealthy spectators for a very large fee with no intention of it being represented as an official fight card or televised worldwide. “Once I arrived to the press conference, my team and I were completely derailed by the new direction this event was going and we should have put a stop to it immediately,” wrote Mayweather. Mayweather, 41, said he was hesitant to create a disturbance at the news conference by combating what was said for the sake of what he described as several fans and attendees that flew in from all parts of the world to attend the event. The man known as “Money” Mayweather, who retired in 2017 with a 50-0 record over an unparalleled boxing career during which he won world titles in five different weight classes, also said he has no plans to put his unblemished mark on the line. “I am a retired boxer that earns an unprecedented amount of money, globally, for appearances, speaking engagements and occasional small exhibitions,” wrote Mayweather. At the news conference, it was announced Mayweather would top the bill at Japanese mixed martial arts promotion Rizin Fighting Federation’s next card on Dec. 31 against a Japanese kickboxer with the rules yet to be determined. 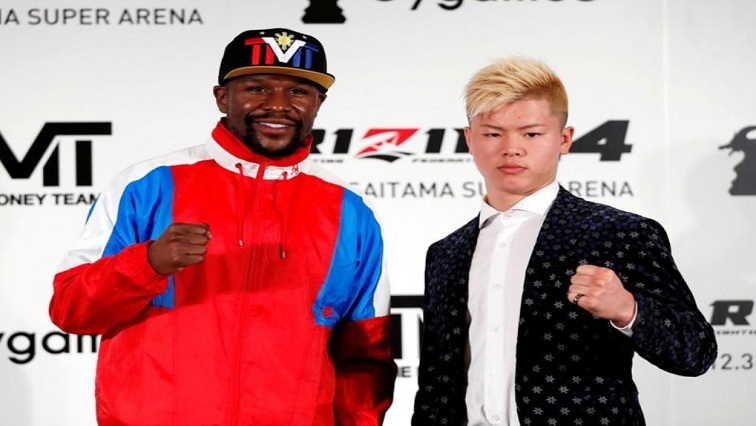 Mayweather’s opponent was introduced as Tenshin Nasukawa — a 20-year-old who competes in both MMA and kickboxing and has won all four of his cage fights. Rizin did not immediately reply when asked for comment. This entry was posted on 08 Nov 2018,05:46PM at 5:46 PM and is filed under Sport. You can follow any responses to this entry through the RSS 2.0 feed. Both comments and pings are currently closed.